Our clients were living with their adult children and grandchildren and required a new living space in their semidetached house in Dublin. After meeting with them, we considered several options, and finally decided on a family flat at the back of the garden. Our aim was to create a light-filled, modest space that would consist of a master-bedroom with an-suite, small kitchen / dining room and living-room, overlooking their south facing garden. A glazed screen was designed to allow maximum views of the garden while also allowing access to the garden patio from the living area. The main house and family flat was connected by a direct link that was to accommodate a library and reading area. 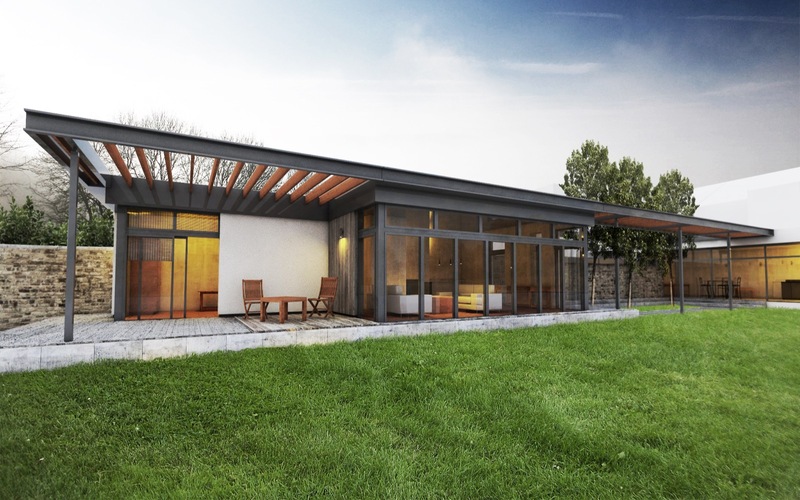 A contemporary style dwelling finished in glass, timber and steel.